​Georgia Hormones is now stocking various supplements that have been recommended to many of our patients. 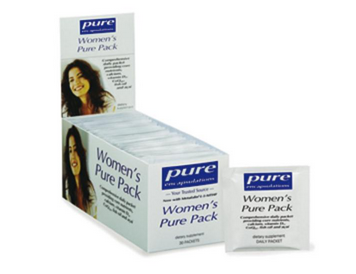 They include Women’s Pure Pack and Men’s Pure Pack from Pure Encapsulation, DHEA for men, digestive aid supplements and adrenal support products. How do you order from Fullscript? Patients can purchase refills at our office or have them shipped directly to your home. Each patient establishes their own personal Fullscript account and can place orders for refills, set up regular shipments and shop for a host of new products. For orders under $50, standard shipping is $8.75 ​(4-7 business days). For orders over $50, standard shipping is FREE! ​account or to login to shop. Each individual packet includes a multivitamin, CoQ10, red wine and pomegranate extract for heart health, rhodiola rosea extract and lemon balm to reduce stress, fish oil concentrate for omega-3's, Vitamin D3, Lutein and Zeaxanthin (for eyes), calcium citrate and Acai antioxidant support. 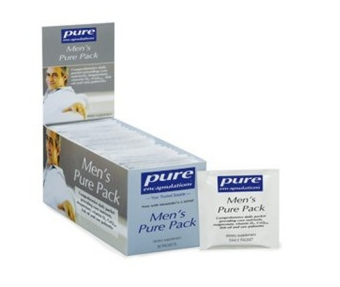 Each individual packet includes essential nutrients for men, EPA/DHA, Vitamin D3, CoQ10, saw palmetto plus, and magnesium. Supports energy and stamina, cardiovascular, macular and prostate health.